Thadd Grimm was Atomic Opera’s tour manager on the Dio “Strange Highways” tour. This is his review of the Atomic Opera 20 Years Later Reunion Concert. It was forwarded in a text. A friend asked how the show was last night so I thought a bit and told him. It was a great reunion too. 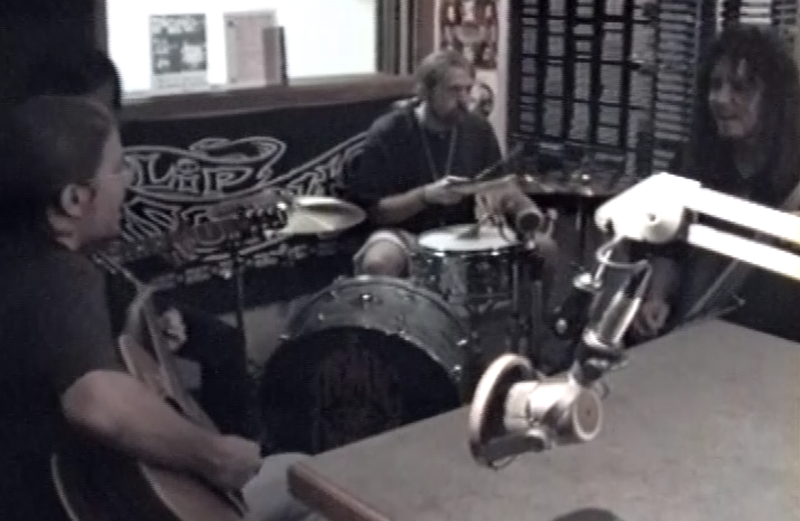 Dane Sonnier (one of the original members of the Galactic Cowboys) opened with some awesome acoustic solo stuff. Dug Pinnick of Kings X was there showing his support, thrashing around in the heavy grooves at the front of the stage with the young and old, some who had never seen the band play before crowded at the front of the stage with long time seasoned supporters. They were truly an atomic opera tonight and the best one I had ever heard. The drummer Mark Poindexter had not played drums at all in 20 years. He doesn’t even own a drum set. Jonathan’s brother Ethan set up his drums for him to play. He was amazing—pounding out those hypnotic grooves seemingly effortlessly but not without a powerful constant steady drive confidently commanding every beat, crash and rest. 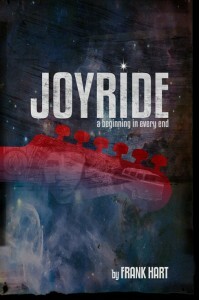 Jonathan was shredding those rhythms with precise and dedicated deliberate attack and Jonas was handily hammering out the strong deep overpowering bass foundation with the occasional epic cameo solo, while Frank was pouring his heart and soul into every melodic vocal delivery—each note dead on, and his leads were grabbing me taking me for a roller coaster ride of finely honed musical bliss—like Christmas every day in a place where all good things never come to an end. I’ve always thought that going to an AO show was like going to a magic show and wondering how they do it. How do these 4 guys make this complex captivating melodic bliss appear? I still don’t know but it was the best magic show I’ve ever been to. 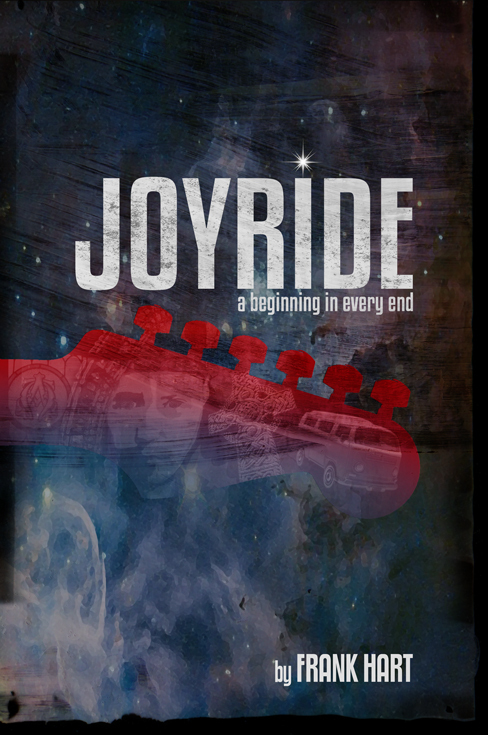 Buy For Madmen Only on iTunes or a physical disk from CDbaby. 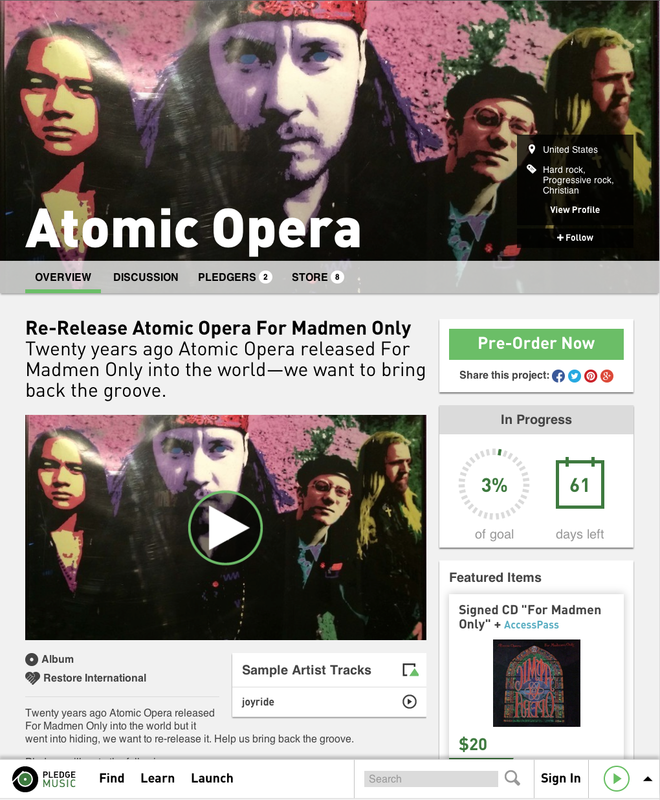 Twenty years ago Atomic Opera released For Madmen Only into the world but it went into hiding, we want to re-release it. Help us bring back the groove. This is not a drawn-out campaign—Please groove now. I was a fan of Frank Hart’s band Atomic Opera when I was in college and picked up For Madmen Only when it came out. 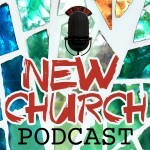 I enjoyed their sound and Christian worldview. I met Frank, had that “wait a minute, I know that band” moment, and now have become friends. I saw him again in Houston and asked about his solo album, Human Liturgy. He graciously hooked me up with a copy as well as a copy of an AO album I didn’t have, Penguin Dust. I listened to Penguin Dust first on my way out of Houston. I usually listen to a new album through all the way 2-3 times when I get it if I can, and the trip from Houston to Virginia afforded me that. I enjoyed it, but I think that’s kind of to be expected, it’s an album by a band I like playing the kind of music I like. 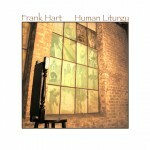 In the morning I put in Human Liturgy. The sound is obviously different from AO. I was by myself, gone from my family for over a week at that point. 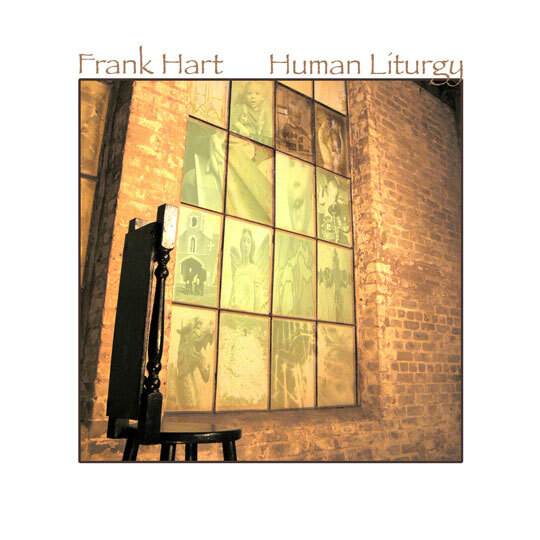 I was in the right frame of mind to really listen to Human Liturgy. I am close to the same age Frank was when he made it. I don’t think I would have had the same reaction had I listened to it when I was younger or even when it came out when I was still a single guy motivated mostly by anger and pride. The line from the first song, “Ephphatha”, I love you through my guilt, blew me away. The fourth song, “Confession,” I think I had heard before and recognized but I hadn’t really listened carefully. I missed the lines I have polluted and poisoned the things you give me/I have learned how to despise/I have offered you the smallest broken nothings/and I believe my own disguise. The rest of the album could have sucked and it would be redeemed by that couplet. I don’t know if Frank was Lutheran when he wrote this… but he was Lutheran when he wrote this. A guy in a car for 17 hours missing his wife and kids is easy prey for Little One/Mad/Baby Forgive Me in the middle of the album. Tender and hopeful, then blunt and unadorned lyrical honesty, then back to tender and hopeful. In all three songs, Frank manages to be simple but not trite. The other songs are not filler, but after listening to the album multiple times, these songs are the ones that really stuck with me. Musically, the album is playful and eclectic. Lyrically, it is mature and honest. It’s a beautiful album that I will be happy to listen to frequently.